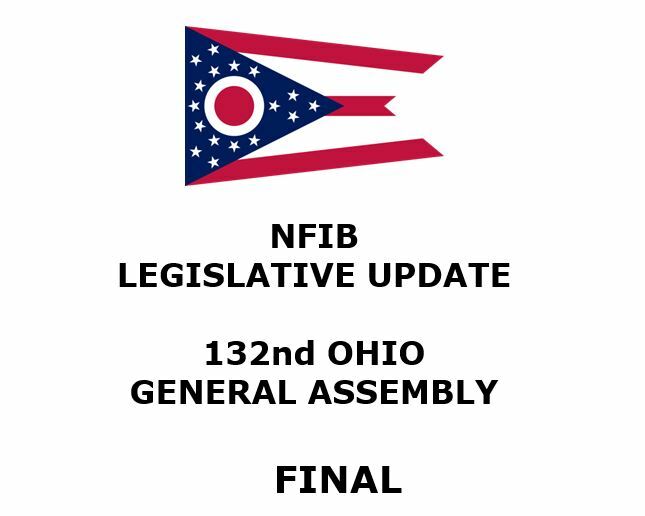 NFIB monitored over 100 pieces of legislation in the 132nd Ohio General Assembly with the potential to impact the small business community in 2018 and beyond. Our legislative activity is one of the main reasons our members join us. Small business owners simply do not have the time to track all of these bills on their own. Bills are current through December 31, the end of the two-year legislative calendar. Any bills not passed and signed into law must start the process over in the 133rd Ohio General Assembly. In our on-going efforts to keep our 22,000 members updated on the pieces of legislation we are tracking, you can click on the graphic of the Ohio Flag below, and it will take you to a PDF detailing those bills that we are closely monitoring this session. The list of bills is broken down by category for your convenience. It also shows NFIB’s position on the bills we are tracking.